Lambeth College state they will have “a NEW, modern, high quality, state-of-the-art building on the Brixton Hill site, which will provide the College community with a social and learning zone.” The new provision will focus on preparing learners for work by providing English, Maths, ESOL, adult community learning and employability courses. This will enhance the College’s already close links with Job Centre Plus and Lambeth Council. 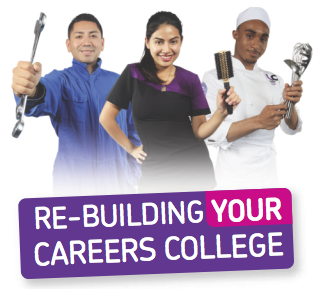 The needs of local employers will be met by short courses and apprenticeships run by the College’s Go2Work team. An exhibition for local residents to look at detailed plans and receive more information will be held on 9th June between 5 and 7pm at the Brixton Centre. Brixton Hill’s councillors retain very serious concerns about the scale and nature of the Department for Education’s ‘Campus’ for Brixton Hill, over which there has been absolutely no consultation with the local community. We remain opposed to the inappropriate siting of up to three ‘Free’ schools with very different needs alongside the College on the site, which is likely to require a building much larger than is acceptable on the site (as well as serious concerns about the schools’ admissions and teaching policies). Nevertheless we are committed to working with Lambeth College to maintain provision in Brixton and secure a viable future for the College. We welcome the commitment to ESOL and partnership with employers that will help Brixton residents continue to gain the skills and opportunities to find work. This entry was posted in Blog and tagged Brixton Hill, Horsford Road, Lambeth College by Martin Tiedemann. Bookmark the permalink.